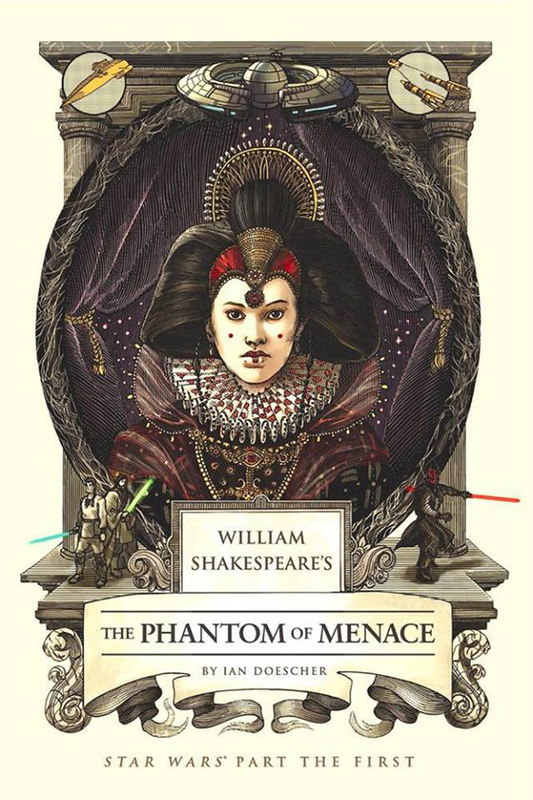 Because someone – not me- demanded it, William Shakespeare’s The Phantom Menace is now available for those who like a little Bard with their Force. 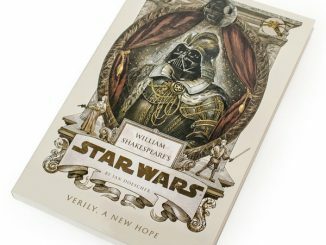 The tale of Luke Skywalker, Han Solo, and Princess Leia got a Shakespearean twist with William Shakespeare’s Star Wars Trilogy Boxed Set, but Star Wars fans know the adventure began much earlier than that, with a story about a bratty kid who fell for a woman that was way out of his league. 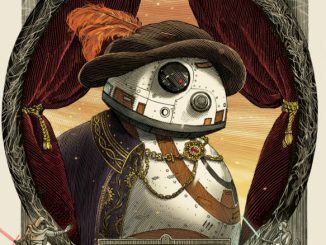 However, can even England’s Bard of Avon salvage that which brought us Jar-Jar Binks? 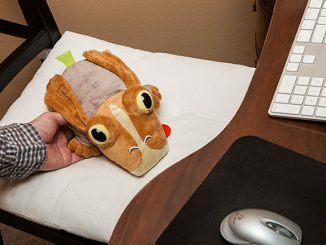 Meesa don’t think so. 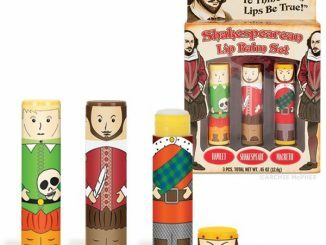 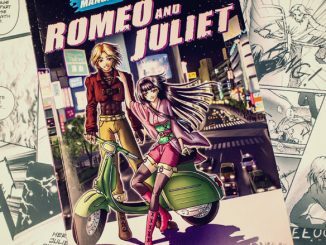 ’Tis a true Shakespearean drama, filled with sword fights, soliloquies, and doomed romance . 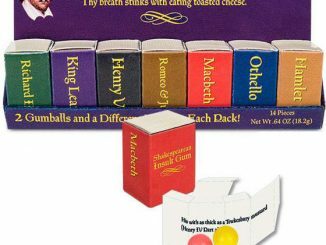 . . all in glorious iambic pentameter and coupled with twenty gorgeous Elizabethan illustrations. 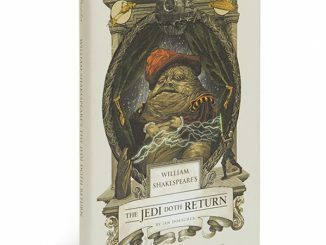 Hold on to your midi-chlorians: The play’s the thing, wherein you’ll catch the rise of Anakin! 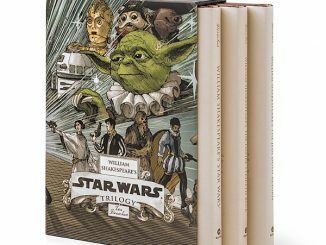 William Shakespeare’s The Phantom Menace will be available April 7, 2015, but the hardcover book can be pre-ordered now at Amazon. 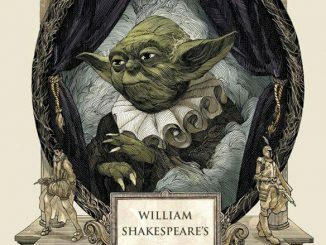 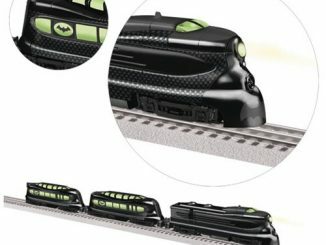 There is also a Kindle edition.